My latest review covers one of the most unique Air Jordan 1s ever made – the “Homage to Home” Jordan 1 NRG! Jordan Brand sent me a pair and to say these are out there is an understatement! Featuring premium leather in a split construction consisting of the iconic Chicago and Bred 1 colourways on either side, these are super divisive to the public! What do you guys think? Initially sold for charity to support the Hurricane Katrina relief efforts back in 2006, Jordan Brand is finally releasing this much sought after colourway of the Air Jordan 3 to the masses in a couple weeks time! Officially nicknamed the “Hall of Fame” Jordan 3s, these are a perfect blend between the iconic “White Cement” and “Fire Red” colourways. Check out my early review and judge for yourselves! One of the most beloved Air Jordan 1s returned yesterday with the “Shadow” colourway! Featuring a super versatile palette of black, white and grey constructed using great quality leather, these were a must cop for myself as well as most Jordan 1 fans worldwide! One of the greatest sneakers of all time, the Air Jordan 3 “Black / Cement” returns this coming Saturday, February 17th. Debuted by Michael Jordan in 1988, the Black Cement 3 has been a staple in the closets of sneaker fans worldwide for the past thirty years. Watch my latest review of this must-have Air Jordan and what I’m predicting will be my top sneaker pick up of the year! One of the more anticipated Jordan releases in a while, the Air Jordan 1 Retro High NRG “Gold Toe” drops this coming Saturday, February 10th in Canada & Europe. Reminiscent of the super limited “Top 3” ComplexCon editions from 2017, these are no where near as limited and feature the same look of black, gold and white patent leather on a classic Jordan 1 silhouette! 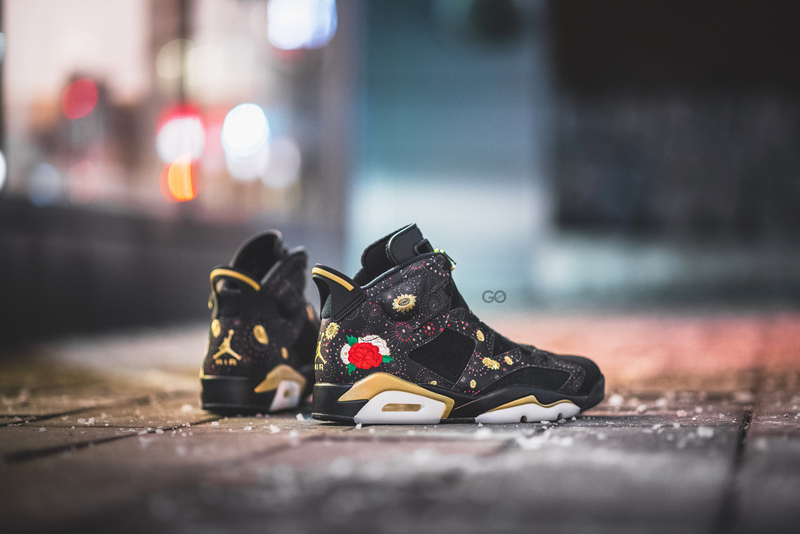 These will be available at retailers like The Closet Inc. along with online at Nike.ca! 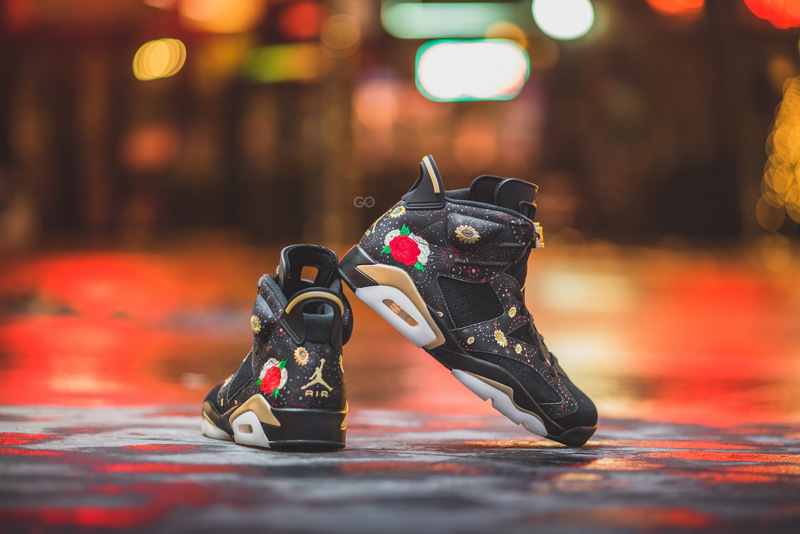 The good people at Jordan Brand hooked it up again with an early pair of the Air Jordan 6 “Chinese New Year”. 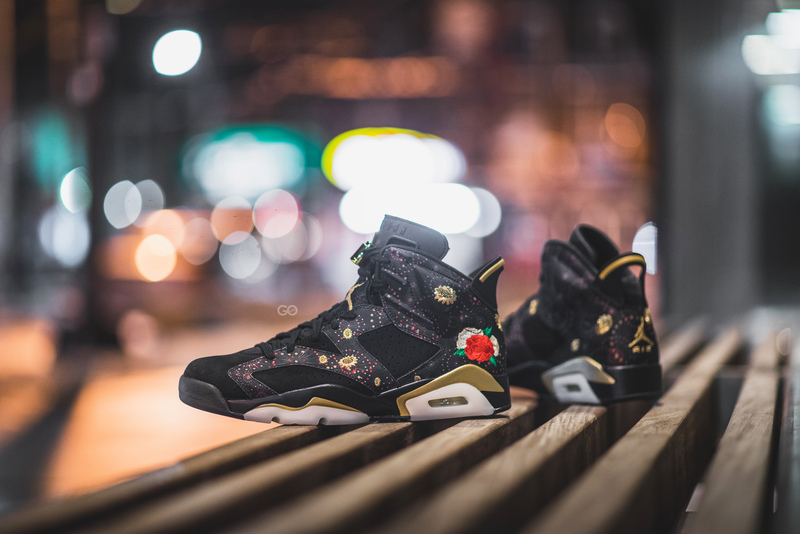 Celebrating the lunar calendar’s Year of the Dog, these feature floral and firework print atop a black and gold palette. Check out my review and grab yours this coming Saturday!